British horse racing enthusiasts will have something new to learn about and bet about starting in 2019 as team horse racing following the Formula One system in auto racing comes here. The proposal calls for twelve teams of as many as thirty horses each competing across Great Britain over the course of eight weeks. Each day of racing is said to feature six races for a total of 48 races in a team and league format. The promoters are instituting a points system to determine the league champion team and the best jockeys. Each team will also have four jockeys so the competition amongst the jockeys is likely to be as fierce as the completion between teams. The Jockey Club, seeing an additional source of income for its members, has already thrown its support behind the proposal. Championship Horse Racing (CHR) is the entrepreneurial head of the proposed league. The first step is for each team to become “branded” by attracting a corporate sponsor. This is the first step in making the league as popular and financially successful as Formula One is. The promoters hope to make good on minimum prize money per race of £100,000 which would be divided by all team personnel. CHR recognizes that aside from a few glamor races in Britain, interest amongst the general public often wanes. Horse racing remains popular in the UK but most of the money wagered goes on the most glamorous races. The same phenomenon has been seen in the United Sates where the big three races—Kentucky Derby, Belmont Stakes, and Preakness—draw huge crowds to the racetracks, massive publicity, and millions of dollars in wagers but the rest of the racing season falls relatively flat. CHR hopes that a Formula One style format will inject much added interest in horse racing even as the Twenty20 format has been a major boost to cricket. CHR has also stated that whilst it hopes to boost the incomes of all those involved in horse racing in Great Britain, they hope that the team format will simply increase fan interest in the sport. 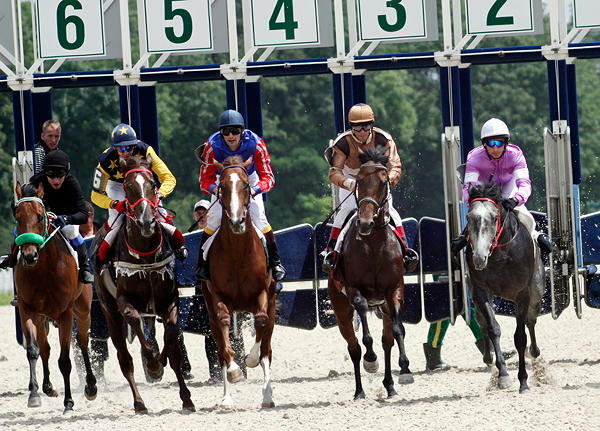 As a sporting entertainment, horse racing stands tall even without the gambling element. Sports betting is just one aspect of the overall gambling industry. People like to gamble, be it on sports, casino games online, lotteries, racing sports, and others. A horse racing league would compete with leagues in many other sports. There is no telling what the upper limit on gambling may be. Since organized, legal gambling became widespread, the amount gambled continues to increase but this has brought many competitors in its wake. It’s the old supply and demand theory of economics; as the demand rises, the supply rises as well. So, aggregate betting is up but the pie continues to grow concentrically. The top court in the United States, called the Supreme Court, is expected to decide a controversial case involving sports betting in the state of New Jersey and by extrapolation to every other state where today it is not legal. In 1992 the Congress of the United States passed a law with the acronym PASPA that made it illegal to make or accept sports bets in all but the four states where it was already legal. Twenty-five years later the constitutionality of that law is being questioned by New Jersey and the case has now reached the highest court in the land. If the Supreme Court decides that sports betting in the US is legal according to the constitution, it will send reverberations far and wide as Americans will be able to place sports bets legally in any state that passes local laws allowing it in their jurisdiction. Observers expect all or almost all states now disallowed from sports betting to make it available to its residents. The league format for horse racing can thus be seen as an attempt to make British horse racing attractive to the newly freed American sports bettor. It remains a multi-billion pound gamble on the part of CHR with or without legal sports betting in the United States.